[2013.06.08] 拉丁美洲的堕胎 - 亚非拉 - ECO中文网 - Powered by Discuz! The Guttmacher Institute is a non-profit organization which works to advance reproductive health including abortion rights. The institute operates in the United States and globally "through an interrelated program of social science research, policy analysis and public education." 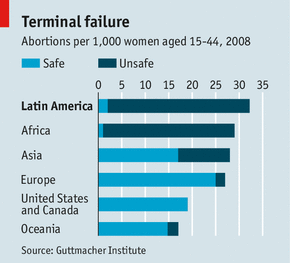 2) Latin America’s strict abortion policies are certainly not pro-choice—but their results are hardly very pro-life either. 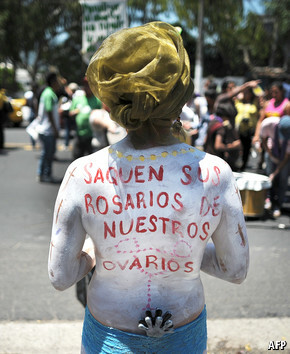 3) A bill before Brazil’s Congress would allow abortion on broader terms. GMT+8, 2019-4-21 04:20 , Processed in 0.087497 second(s), 29 queries .